Russ Cummings and friends have been joining Skedaddle trips for a number of years now and they always bring their photographer-friend Rob “if it moves I’ll shoot it” Sharp of Lightrapper Photography with them. You might have noticed that Rob’s fantastic photos have become something of a regular feature in Skedaddlin’ over the years and this edition is no exception. 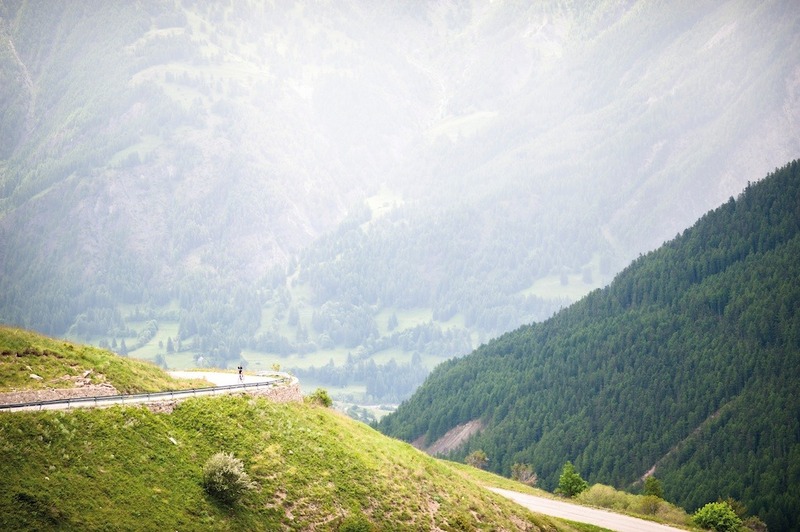 A lonely rider, dwarfed by the imposing landscape, tackles the Col de Vars. Difficult to believe there were more than 20 of us on the road that day. Was he first around that bend or was he last? Probably only he and Rob know the answer, not that it matters. 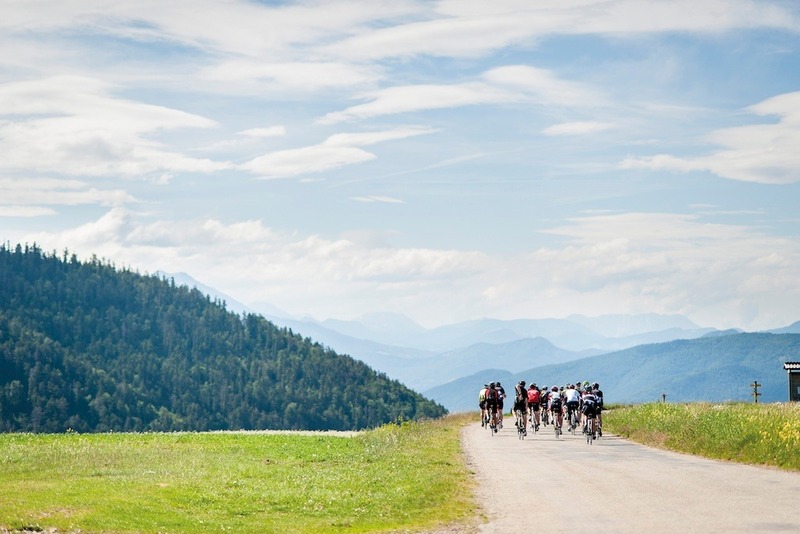 For many of us, road cycling is all about the mountains. For sure, everybody likes a flat day every now and then, but without mountains our favourite sport would be a lot less interesting. 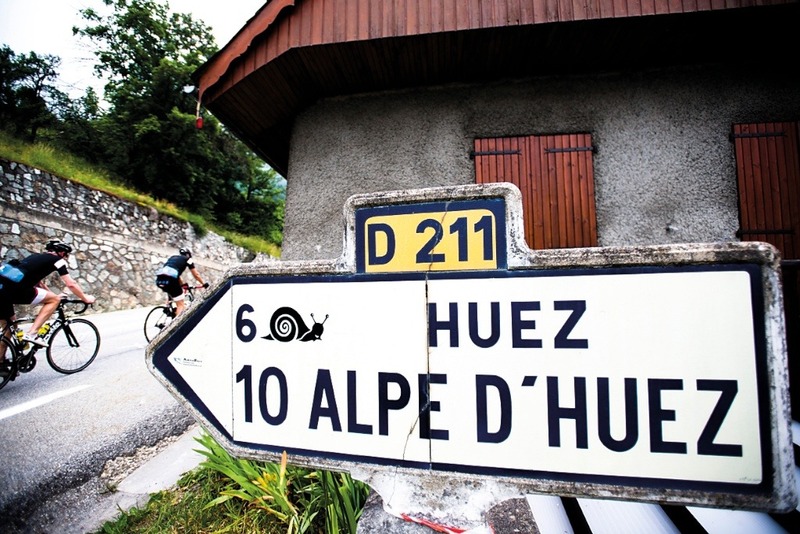 Imagine if the Tour de France was 21 days of pancake flat time trialling? 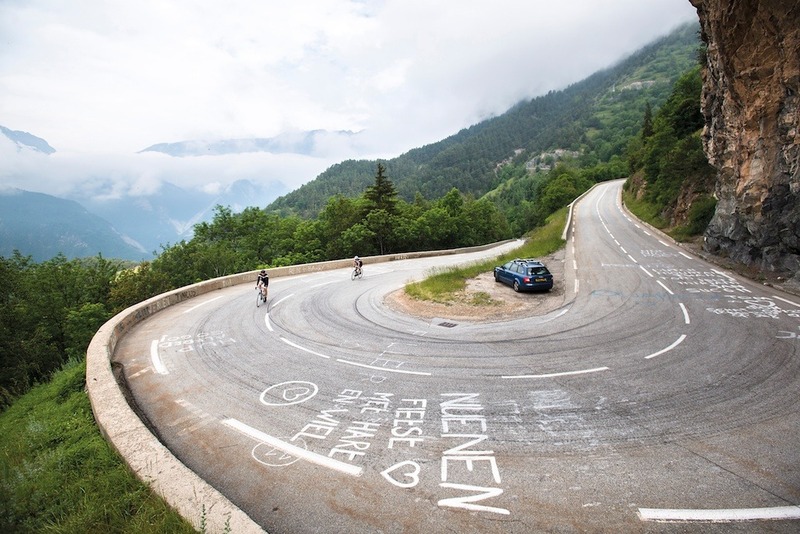 When we tune in to watch a race we want to see our heroes battling it out in the mountains. 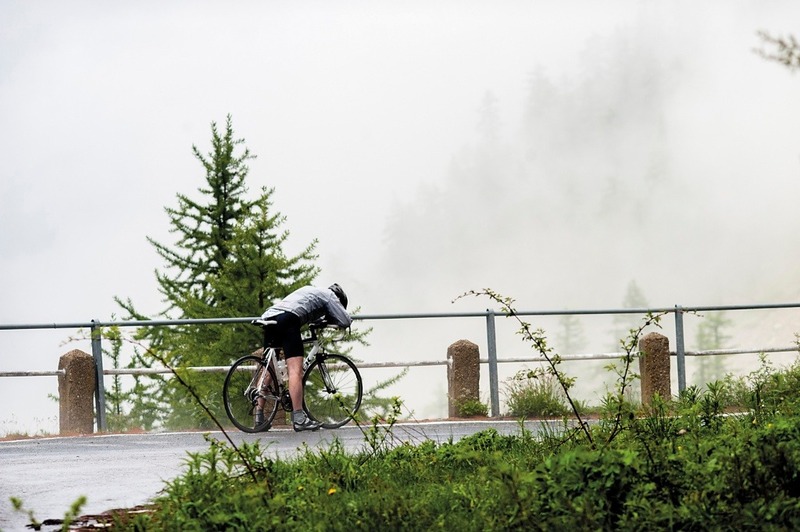 Likewise when we ride our own bikes we want to experience a few ups and downs. Rob, a keen cyclist himself, seems to instinctively know what’s going to make a good shot and when he’s at work we regularly find ourselves simply doing as he tells us but not really understanding why, while he fidgets and fiddles around with his various apertures and shutter speeds. We’re used to riding past his empty car, seemingly abandoned on some remote mountainside and wondering why he’s scrambling down a scree slope four switchbacks below us. Or trying to work out just how he managed to get himself precariously perched onto that overhanging branch, poised, focused, camera in hand and ready to shoot at precisely the right moment. As soon as we see his photos it all falls into place and we understand why he was risking life and limb. 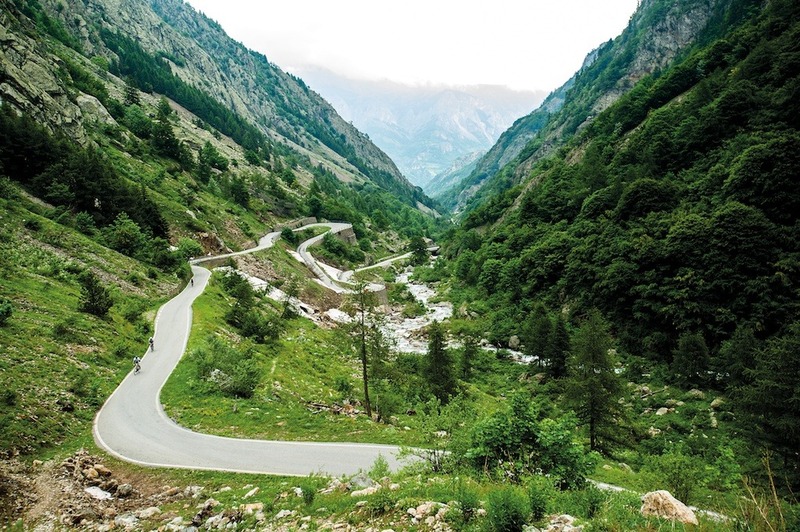 This year Russ Cummings and the guys joined us on what was, by a long way, their most challenging ride to date, as we rode with them through the French Alps, with an unscheduled diversion into Italy, all the way from Alpe d’Huez to the Côte d’Azur. We’re going to allow Rob’s photos to tell the story of this epic and sometimes unpredictable adventure – they do it so much better than we can. This trip, as with all of the previous outings with Russ and friends, was a bespoke tour designed specifically to meet their requirements. But if you’ve been inspired by these images and want to experience the world’s most magnificent mountain rides, check our Classic Climbs (skedaddle.com/uk/classicclimbs) on our website where you will find everything from introductory level mountain rides in France, Italy and Spain to those which feature classic climbs of the famous races of such far flung destinations as Colombia and Brazil. Bracing ourselves, already in the mountains and riding towards more mountains! An early start on our second day as we ride from our hotel in Ancelle. Yes we are actually having fun. If you can’t take the rough with the smooth you might want to consider another sport. Bad weather, always a risk with early season mountain tours, forced a last minute rerouting. Disappointed as we all were not to ride over the Restefond and Bonette, our unscheduled 100 mile detour into Italy turned out to be the most dramatic and most memorable day of the tour. Arrival : Only 30 kilometres from the beach we just had to stop to admire the beauty of the hills that back onto the Côte d’Azur. David brings them home. A safe and happy arrival on the Promenade des Anglais, and a quick dip in warm waters of the Mediterranean. For more information about our bespoke / tailormade tours call, email or click here to view online.